B1 700mm x 1000mm Slate Grey (RAL 7015) Notice Board. 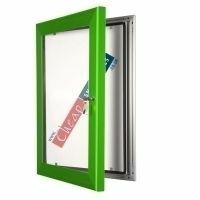 This is for 700mm x 1000mm notices. 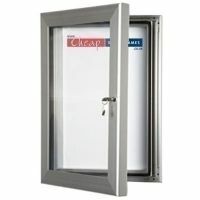 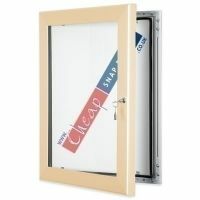 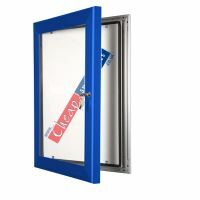 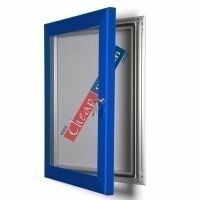 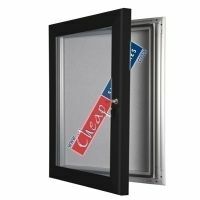 Offering great security this is a waterproof hinged lockable poster frame / notice board. 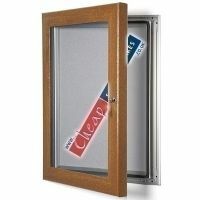 This notice boards offers excellent value and security. 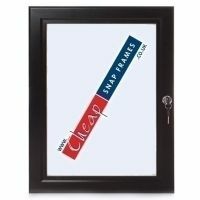 The front of the frame is opened with a key. 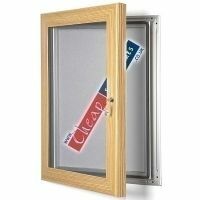 The grey notice board is slimline at only 33mm deep and is available in a range of sizes. Made in anodised aluminium with a frame that is 45mm wide a fluted plastic back and tough 2mm polycarbonate cover. 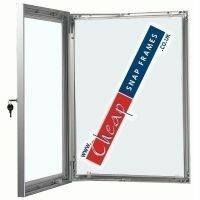 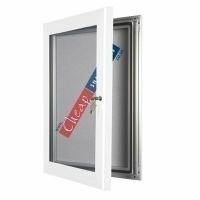 This is also hinged and has internal stays to keep the door open - making it really easy to change the posters - as well as safe. 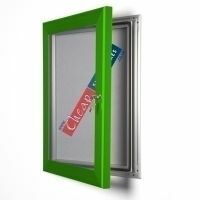 It is slimline and stylish. 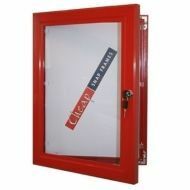 We don't use glass so these are really safe to use in even very robust environments. 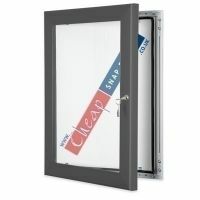 The cover is made with a tough 2mm polycarbonate. 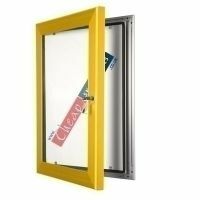 It can be used either portrait or landscape and is suitable for use either internally or externally as has a waterproof rubber seal inside the frame.